Reading and share top 9 famous quotes and sayings about Changing For The Better by famous authors and people. 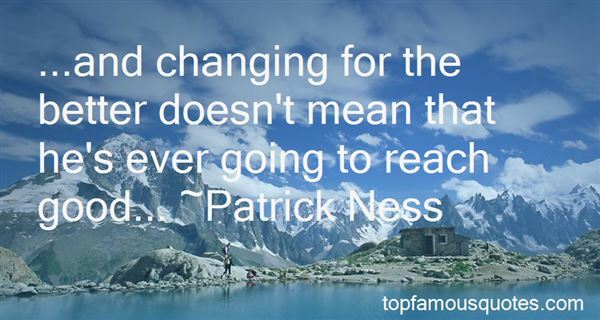 Browse top 9 famous quotes and sayings about Changing For The Better by most favorite authors. 2. "Good old Watson! 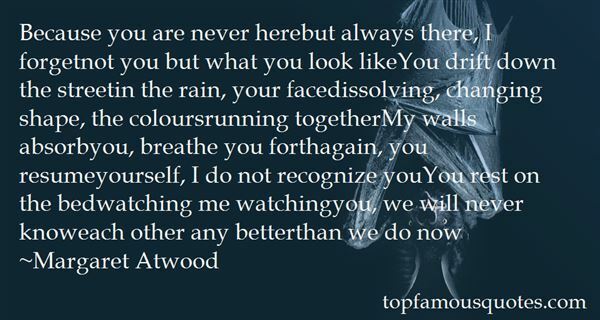 You are the one fixed point in a changing age. There's an east wind coming all the same, such a wind as never blew on England yet. It will be cold and bitter, Watson, and a good many of us may wither before its blast. But it's God's own wind none the less, and a cleaner, better, stronger land will lie in the sunshine when the storm has cleared." 3. "Present global culture is a kind of arrogant newcomer. It arrives on the planetary stage following four and a half billion years of other acts, and after looking about for a few thousand years declares itself in possession of eternal truths. But in a world that is changing as fast as ours, this is a prescription for disaster. No nation, no religion, no economic system, no body of knowledge, is likely to have all the answers for our survival. There must be many social systems that would work far better than any now in existence. In the scientific tradition, our task is to find them." 4. "Something in her was changing as she read the books. Life after life flashed before her eyes, yet she stayed safe from misery. And the urge to act things out onstage could be satisfied cheaply, and at home, and without the annoyance of other members of an acting company. 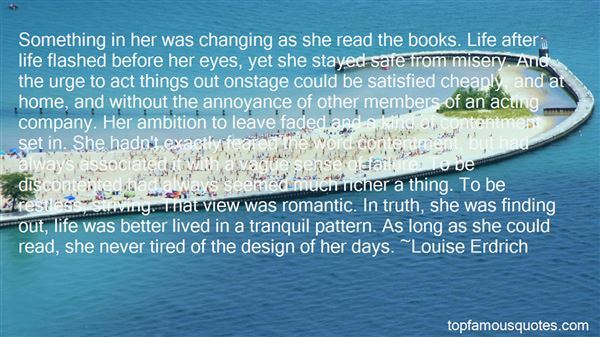 Her ambition to leave faded and a kind of contentment set in. She hadn't exactly feared the word contentment, but had always associated it with a vague sense of failure. To be discontented had always seemed much richer a thing. To be restless, striving. That view was romantic. In truth, she was finding out, life was better lived in a tranquil pattern. As long as she could read, she never tired of the design of her days." 5. "Because you are never herebut always there, I forgetnot you but what you look likeYou drift down the streetin the rain, your facedissolving, changing shape, the coloursrunning togetherMy walls absorbyou, breathe you forthagain, you resumeyourself, I do not recognize youYou rest on the bedwatching me watchingyou, we will never knoweach other any betterthan we do now"
6. "The struggle is not lost. I believe we have to live, as long as we live, in the expectation and hope of changing the world for the better. That may sound naive. It may even sound sentimental. Never mind: I believe it. What are we to live for, except life itself? And, with all our doubts, with all our flaws, with all our problems, I believe that we will carry on, with God's help." 7. "...and changing for the better doesn't mean that he's ever going to reach good..."
8. "Here we were supposedly changing the world for the better in the Sixties, but as we get 40 years further down the line, we realise that some of those changes such as the drugs probably weren't all that great or sensible. It was all about social experiments." 9. "Man is capable of changing the world for the better if possible, and of changing himself for the better if necessary." John Dewey reminded us that the value of what students do 'resides in its connection with a stimulation of greater thoughtfulness, not in the greater strain it imposes."